I’ve been operating on the Internet since 1995 and I can assure you that the Internet has always been “a sewer” — in that it has been home to crazy conspiracy theories, ugly personal insults, click-bait tabloid “news,” and pretty much every vile prejudice you can think of. Whatever some Russians may or may not have done in buying $100,000 in ads on Facebook (compared to its $27 billion in annual revenue) or opening 201 Twitter accounts (out of Twitter’s 328 million monthly users), the Russians are not responsible for the sewage coursing through the Internet. 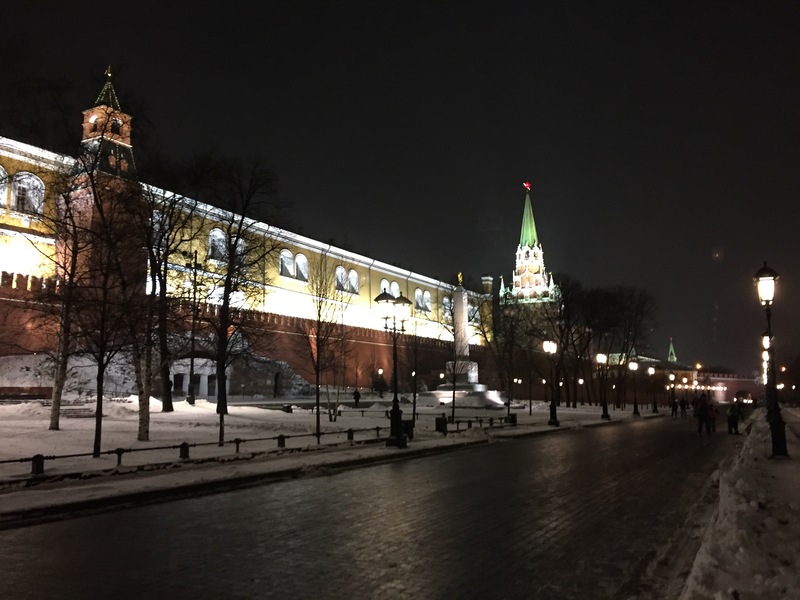 Americans, Europeans, Asians, Africans and pretty much every other segment of the world’s population didn’t need Russian help to turn the Internet into an informational “sewer.” But, of course, fairness and proportionality have no place in today’s Russia-gate frenzy. After all, your “non-governmental organization” or your scholarly “think tank” is not likely to get a piece of the $160 million that the U.S. government authorized last December to counter primarily Russian “propaganda and disinformation” if you explain that the Russians are at most responsible for a tiny trickle of “sewage” compared to the vast rivers of “sewage” coming from many other sources. But let’s look at the facts. According to Facebook, the suspected “Russian-linked” accounts purchased $100,000 in ads from 2015 to 2017 (compared to Facebook’s annual revenue of about $27 billion), with only 44 percent of those ads appearing before the 2016 election and many having little or nothing to do with politics, which is curious if the Kremlin’s goal was to help elect Donald Trump and defeat Hillary Clinton. And, then there is the curious content. According to The New York Times, one of these “Russian-linked” Facebook groups was dedicated to photos of “adorable puppies.” Of course, the Times tried hard to detect some sinister motive behind the “puppies” page. Similarly, CNN went wild over its own “discovery” that one of the “Russian-linked” pages offered Amazon gift cards to people who found “Pokémon Go” sites near scenes where police shot unarmed black men — if you would name the Pokémon after the victims. So, these dastardly Russians are exploiting “adorable puppies” and want to “remind people” about unarmed victims of police violence, clearly a masterful strategy to undermine American democracy or – according to the original Russia-gate narrative – to elect Donald Trump. 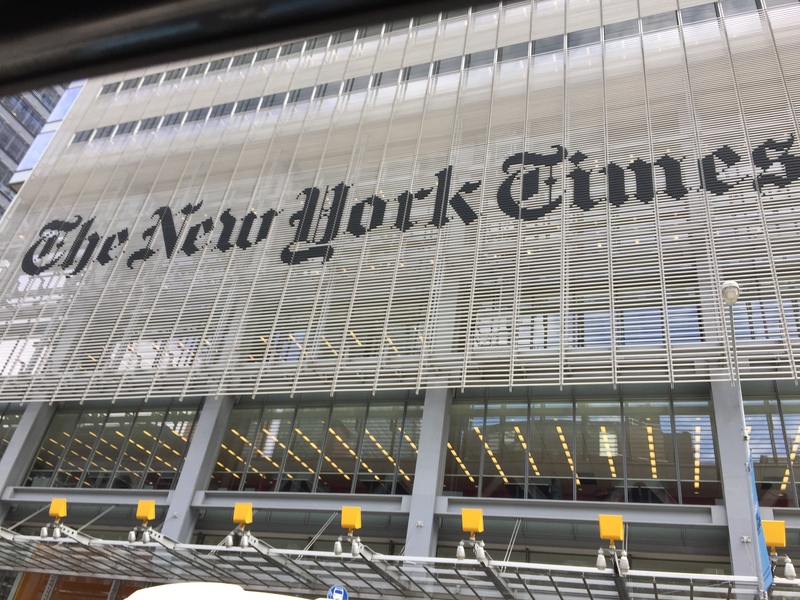 A New York Times article on Wednesday acknowledged another inconvenient truth that unintentionally added more perspective to the Russia-gate hysteria. It turns out that some of the mainstream media’s favorite “fact-checking” organizations are home to Google ads that look like news items and lead readers to phony sites dressed up to resemble People, Vogue or other legitimate content providers. There is obvious irony in PolitiFact and Snopes profiting off “fake news” by taking money for these Google ads. But this reality also underscores the larger reality that fabricated news articles – whether peddling lies about Melania Trump or a hot new celebrity or outlandish Russian plots – are driven principally by the profit motive. Occasionally, the U.S. mainstream media even acknowledges that fact. For instance, last November, The New York Times, which was then flogging the Russia-linked “fake news” theme, ran a relatively responsible article about a leading “fake news” Web site that the Times tracked down. It turned out to be an entrepreneurial effort by an unemployed Georgian student using a Web site in Tbilisi to make some money by promoting pro-Trump stories, whether true or not. The owner of the Web site, 22-year-old Beqa Latsabidse, said he had initially tried to push stories favorable to Hillary Clinton but that proved unprofitable so he switched to publishing anti-Clinton and pro-Trump articles, including made-up stories. In other words, the Times found no Russian connection. The Times article on Wednesday revealed the additional problem of Google ads placed on mainstream Internet sites leading readers to bogus news sites to get clicks and thus advertising dollars. And, it turns out that PolitiFact and Snopes were at least unwittingly profiting off these entrepreneurial ventures by running their ads. Again, there was no claim here of Russian “links.” It was all about good ole American greed. But the even larger Internet problem is that many “reputable” news sites, such as AOL, lure readers into clicking on some sensationalistic or misleading headline, which takes readers to a story that is often tabloid trash or an extreme exaggeration of what the headline promised. This reality about the Internet should be the larger context in which the Russia-gate story plays out, the miniscule nature of this Russian “meddling” even if these “suspected … links to Russia” – as the Times initially described the 470 Facebook pages – turn out to be true. But there are no lucrative grants going to “researchers” who would put the trickle of alleged Russian “sewage” into the context of the vast flow of Internet “sewage” that is even flowing through the esteemed “fact-checking” sites of PolitiFact and Snopes. There are also higher newspaper sales and better TV ratings if the mainstream media keeps turning up new angles on Russia-gate, even as some of the old ones fall away as inconsequential or meaningless (such as the Senate Intelligence Committee dismissing earlier controversies over Sen. Jeff Sessions’s brief meeting with the Russian ambassador at the Mayflower Hotel and minor changes in the Republican platform). That claim was always untrue because a reference to a consensus of the 17 intelligence agencies suggests a National Intelligence Estimate or similar product that seeks the judgments of the entire intelligence community. No NIE or community-wide study was ever done on this topic. 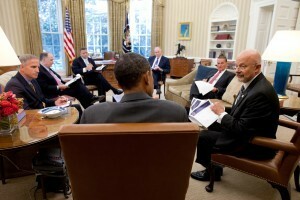 Only later – in January 2017 – did a small subset of the intelligence community, what Director of National Intelligence James Clapper described as “hand-picked” analystsfrom three agencies – the Central Intelligence Agency, National Security Agency and Federal Bureau of Investigation – issue an “assessment” blaming the Russians while acknowledging a lack of actual evidence. In other words, the Jan. 6 “assessment” was comparable to the “stovepiped” intelligence that influenced many of the mistaken judgments of President George W. Bush’s administration. In “stovepiped” intelligence, a selected group of analysts is closeted away and develops judgments without the benefit of other experts who might offer contradictory evidence or question the groupthink. So, in many ways, Clinton’s statement was the opposite of true both when she said it in 2016 and later in 2017 when she repeated it in direct reference to the Jan. 6 assessment. 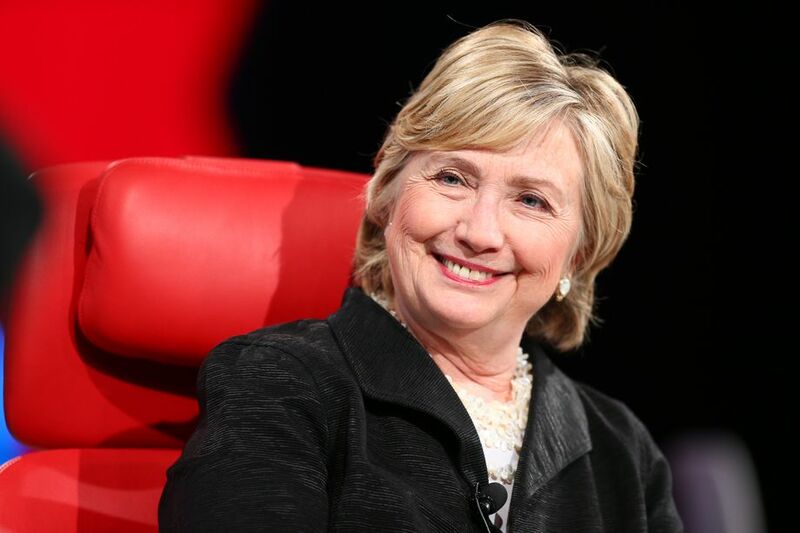 If PolitiFact really cared about facts, it would have corrected its earlier claim that Clinton was telling the truth, but the fact-checking organization wouldn’t budge — even after The New York Times and The Associated Press ran corrections. In this context, PolitiFact showed its contempt even for conclusive evidence – testimony from former DNI Clapper (corroborated by former CIA Director John Brennan) that the 17-agency claim was false. Instead, PolitiFact was determined to protect Clinton’s false statement from being described for what it was: false. So, if PolitiFact says something is true – even if it’s false – it becomes “true.” Thus, it’s perhaps not entirely ironic that PolitiFact would collect money from Google ads placed on its site by advertisers of fake news.